Lakeshore Lodge & RV offers tables, chairs, full kitchen, & a screened in porch overlooking the lake. Ideal location for family reunions, class reunions, & meetings. Lakeshore Lodge & RV Park is located on a rounded point with deep water on three sides. 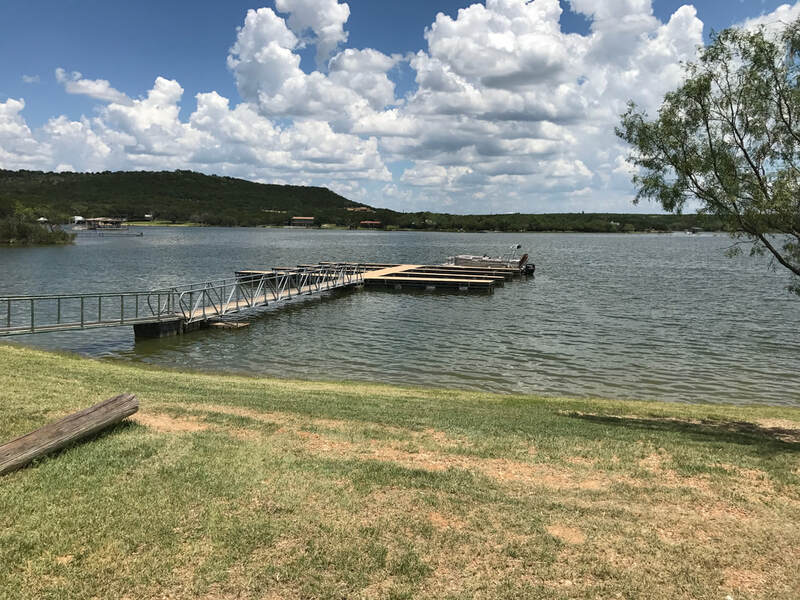 Each lake cabin is within walking distance of the shoreline and provides spectacular views of Possum Kingdom Lake. Make your trip to beautiful Possum Kingdom Lake a memorable one by joining us at Lakeshore Lodge Cabins & RV Park. Whether you’re planning a weekend family outing, business meeting, or family reunion, we have the cabins and meeting facilities for you.